GENEVA – The 34th session of the Human Rights Council, currently taking place at Palais des Nations, presents the opportunity to hold in depth discussions with experts about countries with serious human rights situations. North Korea, Iran and Syria are just a few of the countries that the Council has devoted meetings to this session. 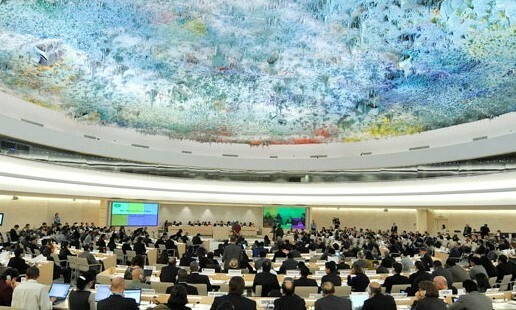 Item 4 of the The Human Rights Council Agenda establishes the obligation of the Council to directly address human rights situations that require urgent attention and allows for the possibility to create mechanisms such as Commissions of Inquiry and Special Rapporteurs to further investigate situations in specific countries. The Council has established Commissions of Inquiry in both Syria and Iran, and designated a Special Rapporteur to monitor North Korea, all of which have been denied entry to their respective country. Arbitrary detention, torture and execution were common concerns raised in the meetings on all three countries. During the three meetings, State and NGO Representatives widely accused the governments in these country of condoning and carrying out these violent and inhumane practices. When it came to the dialogue on Iran, media censorship, persecution of religious minorities, and the use of the death penalty were front and center. Special Rapporteur, Ms. Asma Jahangir, also insisted on the need for free and impartial press and the guarantee of political dissent without repercussions. During the Discussion on Syria, one panelist, Mr. Mazen Darwish, director of the Syrian Centre for Media and Freedom of Ex pression who was himself detained between 2012 and 2015, spoke of the ubiquity of detention centers. He stated that he believes the horrendous living conditions and the torture that occurs in these centers play an integral role in perpetuating violent extremism. Panelists, State and NGO representatives urged the governments of Syria, North Korea and Iran to grant UN experts and Humanitarian organizations unfettered access to their countries and to put an end to all practices that impinge on human dignity. The 34th session of the Human Rights Council will continue until the 24th of March, during which Mali, Haiti, and Libya, among several other countries, will be discussed. 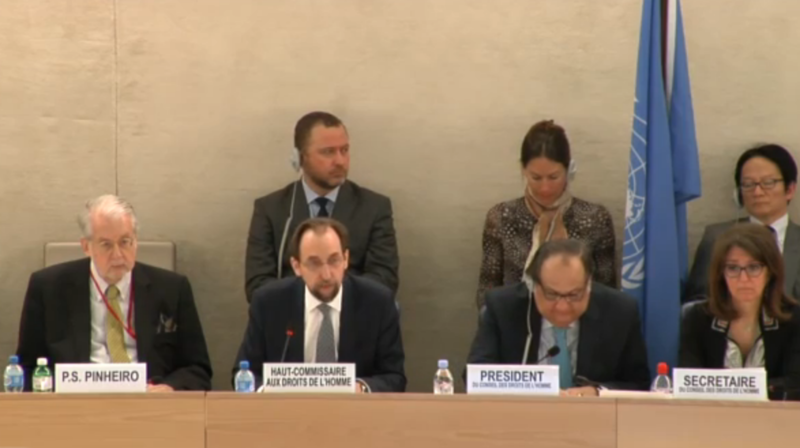 No Comments to "Human Rights Council Discusses Dire Situations in North Korea, Iran and Syria"